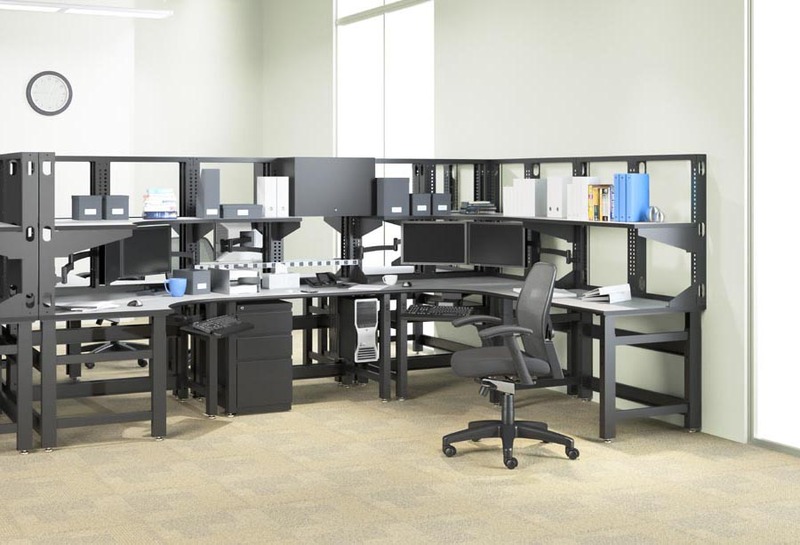 TechWorks technology furniture includes benches, organizer frames and accessories that can be configured in any number of ways to meet different tasks and keep pace with evolving technologies. From a single diagnostic station to team-oriented engineering spaces, TechWorks delivers exceptional durability and flexiblility along with smart technology features such as ESD worksurface options and integrated cable management. Open frames promote team interaction. Vertical storage minimizes office footprints. 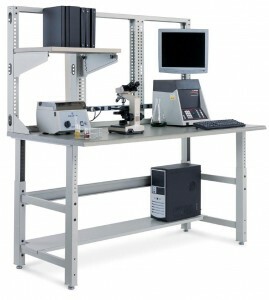 Standard surface options include high-pressure laminate, low-pressure laminate, maple butcher block, and ESD laminate with grounding accessories. Stainless steel surface is available upon request. 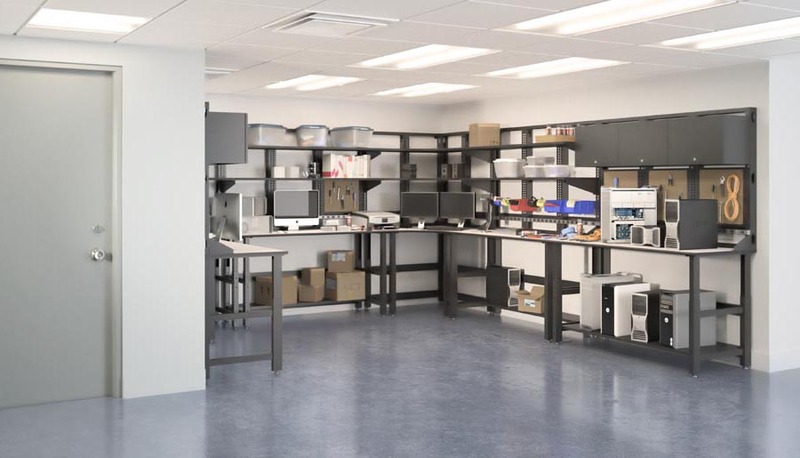 Standard options include locking overhead storage, fixed and tilting shelves, task lighting, bin storage, power strips, heavy-duty cable management accessories, pegboards and whiteboards. Keyboards, monitor arms, and personal storage accessories make work easier and more pleasant. Wide variety of Mayline seating complements the look and function of TechWorks. Just send us your floor plan and requirements and we’ll prepare a layout complete with quote for your approval.